Ultrawideband (UWB) communication has attracted great interest during the last two decades. Simultaneously, MIMO systems occupied the same attraction. Due to high data rate communication the spectral efficiency increases in spatially multiplexed (SM) multiple-input multiple-output (MIMO) systems. 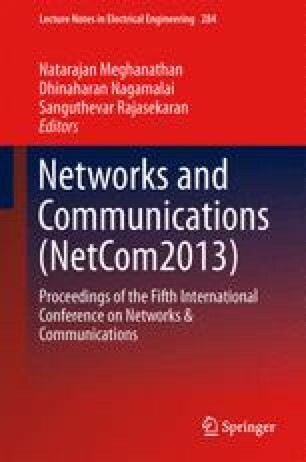 In this paper, the concept and techniques of MIMO has been extended to UWB systems. But, the impact of the spatial correlation requires estimation on the performance of the spatial multiplexing SM-UWB-MIMO system. Another issue is the performance degrades in the presence of high values of spatial correlation. To mitigate such problem, researchers have worked with various methods. Though it has been done to some extent, still it has been designed for virtual UWB-MIMO Time Reversal (TR) system for verification in initial stage. Another novel method also introduced to reduce the effect of correlation. It has been chosen by taking the Eigen value of the channel matrix for the computation of the system performance. The result shows its performance.